As I’ve mentioned before, art is one subject that I really struggle with teaching and usually try to “outsource” to someone else. However, that gets expensive, which is why I was excited to review ArtAchieve! 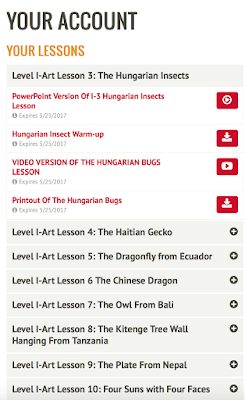 We received an online subscription for Entire Level 1, but there are 3 levels, each with numerous fun lessons for your children! 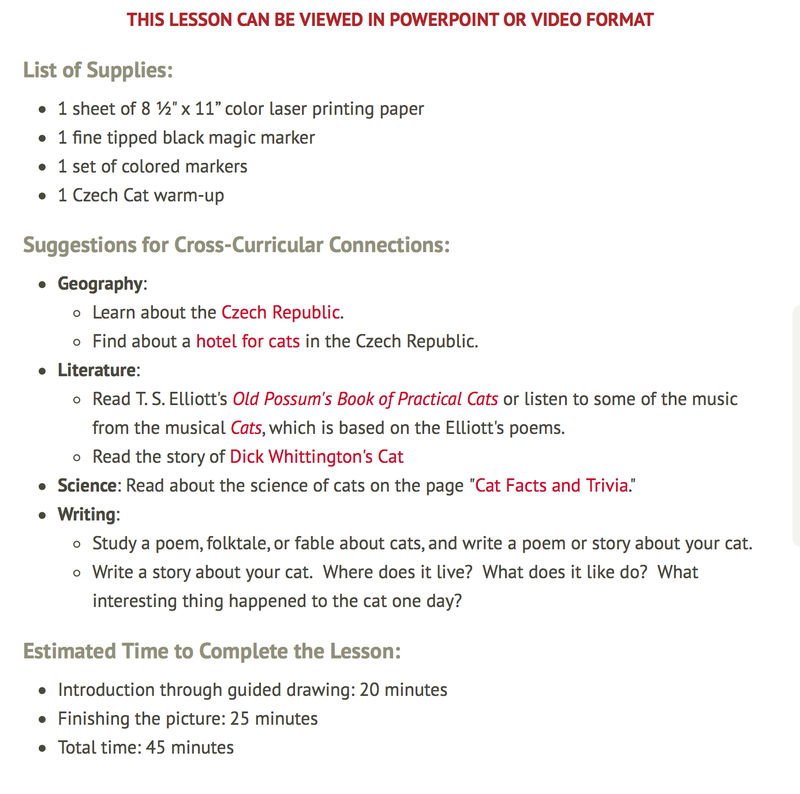 Now level 1 has 11 lessons, but I was a little confused initially because lessons 3-11 are listed in your subscription, but you have to go back and use lessons 1 and 2 from the sample area (you can try lessons one and two for free!) and find the first two there. I think it would be nice for subscribers if the first two lessons were listed in the same place as lessons 3-11, just so you don’t skip anything. 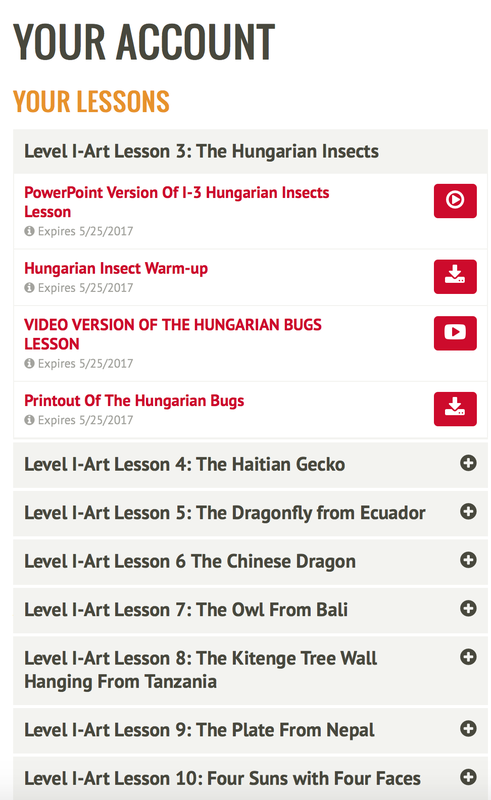 I didn’t initially realize this, so we started with the Hungarian Bugs and then went back after we finished a few lessons to work on lesson 1! My bad! 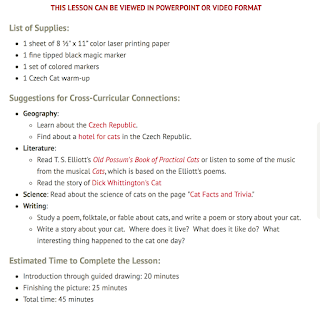 Anyhow, when you login to your account you get an overview of the lessons, and then you are able to select which lesson you’d like to begin. The warm ups are just to get your hands loose and get used to the idea of drawing lines and shapes to match what you’re working from. Then you learn about the art piece you’re working from, and the powerpoint or the video steps you through the simple shapes used to create the artwork yourself! You have the freedom to add colors and lines as you like, and in many lessons you can determine how much you do. 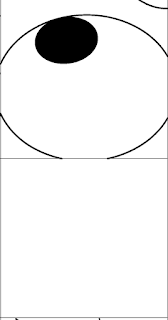 In the Hungarian Bugs, for example, you can do three smaller bugs or one LARGE bug, depending on how much you’d like to draw that day. We really liked using the ArtAchieve lessons, and we recommend them to anyone who’d like a simple, easy to follow art program, whether it’s for your homeschool or for fun and entertainment! All three of my children liked using this program, and think your kids will enjoy it, too, even if they’re a little apprehensive about their artistic skill level! I have to confess to you guys that I made a bad decision and only brought my husband’s laptop on vacation with us, so I don’t have our pictures with us of the great art my kids did- but I’ll definitely update that on Facebook so you can see the great job they did! Want more information about this company or to check out another level? Visit the review crew and see what everyone else thought!